The power line AV2 2000 gigabit pass through Starter kit (DHP-P701AV) with the latest in AV2 MIMO 2000 technology and pass through socket with noise filter to ensure lag-free gaming and 4K/HD streaming. Power saving mode reduces power consumption up to 85%. 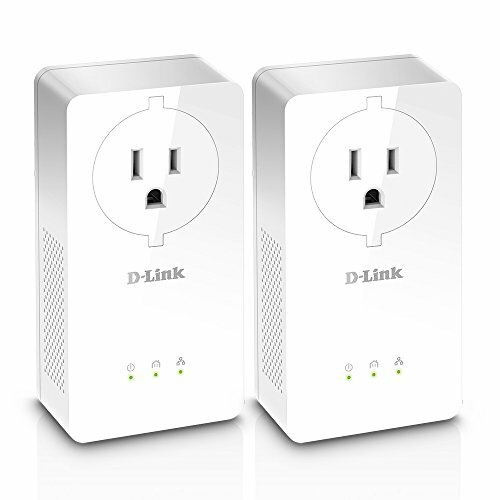 just connect one of your adapters to your router, connect the other adapter to your device, and then press the simple connect button on each adapter to create a secure connection through your existing electrical wiring. It’s that simple!